Complete Job on Pallet Floor Coating Kits. Easy DIY kits for ANY size floor! ArmorPoxy invented the Job on the Pallet Kit (US Patent and Trademark Office Registration #77734881) almost twenty years to supply the needs of end users who desire to purchase high-quality coatings and coating. 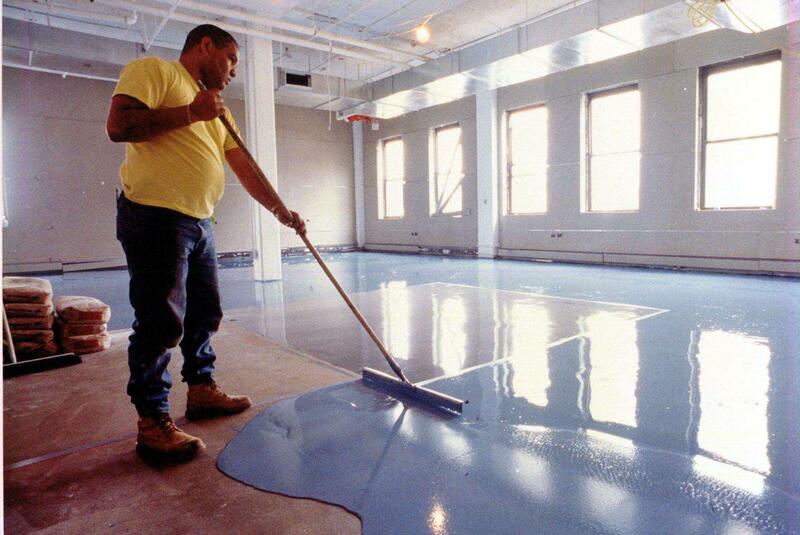 Before ArmorPoxy created the Job on Pallet Kit, end users had the limited options of local paint stores or home centers to purchase their coatings. Neither of these outlets even carried high-performance coatings, and their sales staff had little if any knowledge of recommending and specifying the correct coating for a particular project. ArmorPoxy’s Job on Pallet Kits were created to address this need. 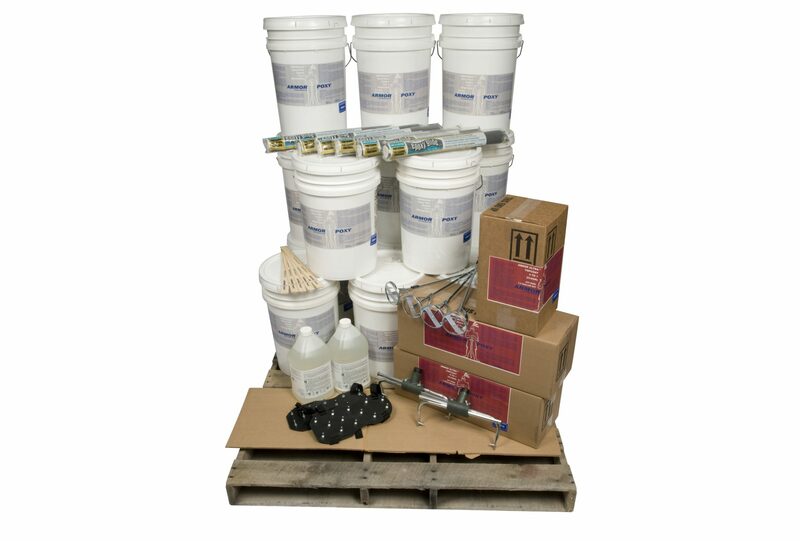 ArmorPoxy can create and prepare ANY of our coating systems as a Job on a Pallet Kit. Our most popular kits are the economically-priced medium build 2-layer ArmorPoxy II and the high build 3-layer 100% solids epoxy ArmorUltra. Each Job on Pallet Kit contains the following standard items. Kits, of course, can be customized for a particular project. In addition to the above standard items, we also carry a wide array of crack fillers, epoxy mortars, Oil Stop Primers and treatments for oily floors, moisture barriers, grinding wheels, and virtually anything else you need to start and complete your project. We also offer decorative flecks for a stone or terrazzo look if desired, call our office for details.